A distance worker performs his work at the ‘production position’. The results of his work emerge at the ‘outcome position’, at a distance from the production position. An example is a series of guest lectures I presented at the University of Johannesburg. I lectured in Utrecht in a video conference center. The students were located in South Africa. After a few minutes, I forgot that I was speaking to a glass screen. I could see and hear the students’ reactions to my presentation. The male students participated a bit more actively than their female colleagues. To support my lectures, I had distributed a set of handouts in advance. In this essay, I will first discuss the dynamics of the Pattern of Generations. These dynamics will structure the future of distance workers substantially. I will base this discussion on my research program on generations, active since 1983. Secondly, I will present several examples of distance activities. Thirdly, the future of distance workers will be discussed in detail. In 2015, the pattern of generations can be represented by a number of idealizations. The ‘Silent Generation’ is birth cohorts from 1930 to 1945. The ‘Early Babyboom Generation’ is cohorts born from 1945 to 1955. The ‘Late Babyboom Cohorts’ go from 1955 to 1980. The ‘Pragmatic Generation’, also called ‘Generation X, is situated between 1980 and 1990. ‘Generation Y’ goes from 1990 to 2000’, and ‘Generation Z’ starts in 2000. The dynamics of generations are represented by the changes over time that each generation experiences. Take the ‘Early Babyboom Generation’ for instance. In its formative period it experienced the emergence of ICT. In its formative period, ‘Generation Z’ will experience the impact of substantial improvements in ICT, combined with a substantial increase in command of the English language. Generations can be discussed with the aid of idealizations. Another type of generation consists of the results of empirical research in sociology and related social sciences. Third, we are confronted with the images of generations in everyday life. .
First of all, distance workers in education demand our attention. At the start of this essay, I mentioned a series of guest lectures delivered from the University of Utrecht and received at the University of Johannesburg. This is one example of the many kinds of education being provided at a distance. Nowadays, many universities offer their lectures on the Internet. Institutes in higher education increasingly offer online courses. Professors’ discussions with students are held by e-mail or virtual conferences. In most cases the English language is used. More and more education takes place within developed countries and from developed countries towards developing countries. We also encounter distance workers operating within developing countries, or from these countries towards other developed counties. Often, high level distance workers teach in cooperation with low level distance workers. Second, we encounter consultation and coaching by distance workers towards their clients. This is provided by e-mail or virtual conferences for instance. In this case also, distance workers operate within a developed country or towards a developing country. And again, developing countries may act internally or towards developed countries. Third, distance workers are engaged in creating and distributing products and services. Products are created online more and more. Increasingly, the products and services offered can be ordered on the Internet. Distance workers are responsible in these cases for the creation and distribution of these products and services. As a rule, these products and services are accompanied by the availability of a ‘call center’. An experienced distance worker will generally be available at a call center. Fourth, health care is part of the distance worker phenomenon. This occurs within or from a developed or a developing country. This health care is provided by high or low level distance workers. Cooperation between high and low level specialists is often involved. Care for hospital patients is frequently provided now by large numbers of health robots supervised virtually by a team of distance workers. As a fifth example, we can mention supervision. For instance, supervision by cameras. What is registered by the cameras is analyzed virtually. The outcomes of the virtual analyses are supervised by distance workers. If required, these distance workers take action. In order to discuss the future activities of distance workers we will start by summarizing the assumptions behind this discussion. Our first assumption is the prediction that the members of younger cohorts, born after 1990, are highly skilled in handling ICT and using the English language. Second, we assume that members of cohorts born before 1990 are able to handle ICT and English as well, but at a lower level. Third, we assume that the members of all cohorts concerned show interest in employment as distance workers. Fourth, we assume that over the next decades the number of safe regions will have increased. These developments can be predicted as a result of military actions against terrorist organizations like IS. Next we will take a look at the hypotheses that predict the outcomes of policy activities in developed and developing countries. First, we predict that inhabitants of safe regions will be effectively motivated to stay in these regions. This primarily because political and economic refugees will largely be disappointed about staying in the countries they are living in. Second, because European countries will successfully refuse economic immigrants because they would do better staying in their original area. Third, because European countries will successfully refuse most political migrants because they would do better going to safe areas in developing countries. These hypotheses are primarily based on the behavior of distance workers. The working lives of these distance workers involve a great deal of ‘hidden resources’. They could decide on a much larger scale to participate in distance work, as we have argued in the second paragraph and also in the third paragraph. This essay is supported by ‘existential proof’ (Existentsbeweis, in German). Distance work in education already takes place on a large scale in many countries. As a next step, more distance work can be explored in other areas, such as commercial activities, health care, etc. Henk A. Becker (2012). Generaties van Geluksvogels en Pechvogels: Strategieën voor assertief opgroeien, actief ouder worden en intergenerationelesolidariteit tot 2030. Amsterdam: Rozenberg Publishers. Periodieke aanvulling met bonushoofdstukken. 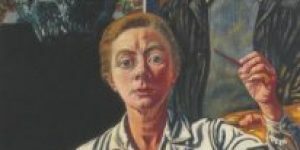 Zie: http://rozenbergquarterly.com/caterogy/europegenerations. Paperback and e-book. Also, Henk A. Becker (2012). 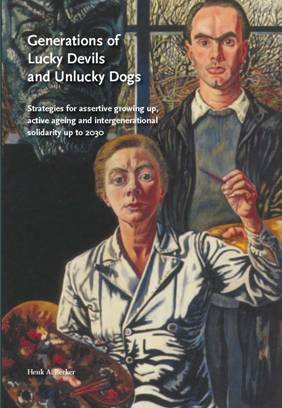 Generations of Lucky Devils and Unlucky Dogs: Strategies for assertive growing up, active ageing and intergenerational solidarity up to 2030. Amsterdam: Rozenberg Publishers. Periodically supplemented by bonus chapters. Seehttp://rozenbergquarterly.com/category/europegenerations. Paperback and e-book. Shu-Chen Ki, Ulman Lindenberger Bernhard Hommel, Gisa Aschersleben, Wolfgang Priz, and Paul B. Baltes. 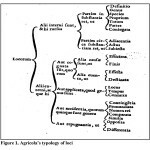 ‘Transformations in the Couplings Among Intellectual Abilities and Constituent Cognitive Processes Across the Life Span’.Psychological Science, Volume 15-Number 3, 2004. Henk Broer, Jan van de Craats en Ferdinand Verhulst (2008). 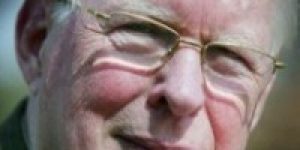 Chaostheorie: het einde van de voorspelbaarheid? Utrecht Epsilon Uitgaven. Page 141 e.v.